with a special Thanksgiving Service. 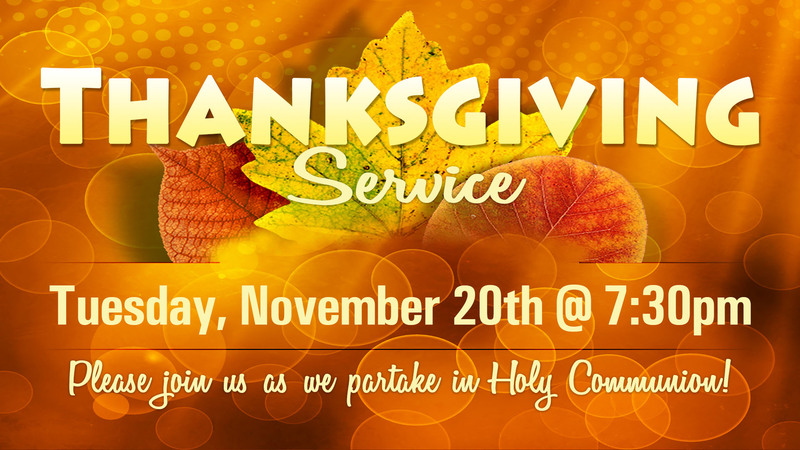 Please join us as we partake in Holy Communion and share our gratitude with the Lord for all He has done. We encourage you to celebrate with us and bring a friend!